With the car still on the ground, remove the centre cap from the wheel and loosen the hub nut using a 32 mm socket (a 1¼" will do) and a breaker bar. Loosen the wheel bolts while you're at it too (17 mm socket). Raise the car and remove the wheel. Unbolt the rearmost subframe bolt holding the stanchion arms (16 mm socket). 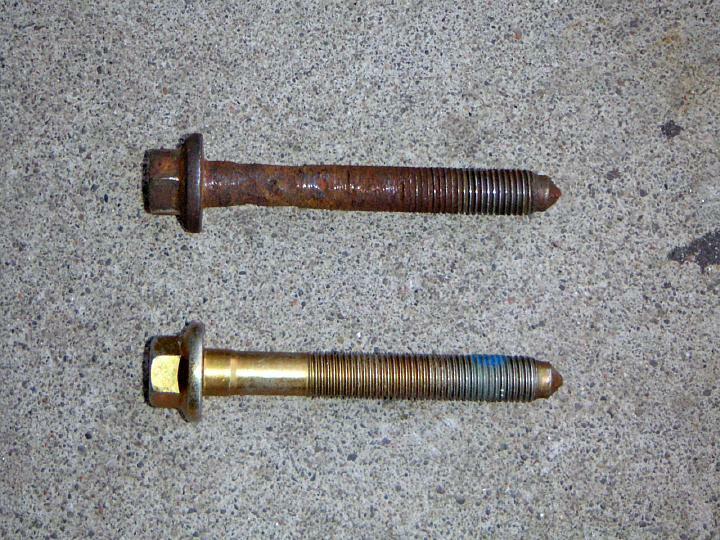 These bolts tend to wear out on the bottom end, so consider a pair of new ones. Pull the arm out of the subframe. 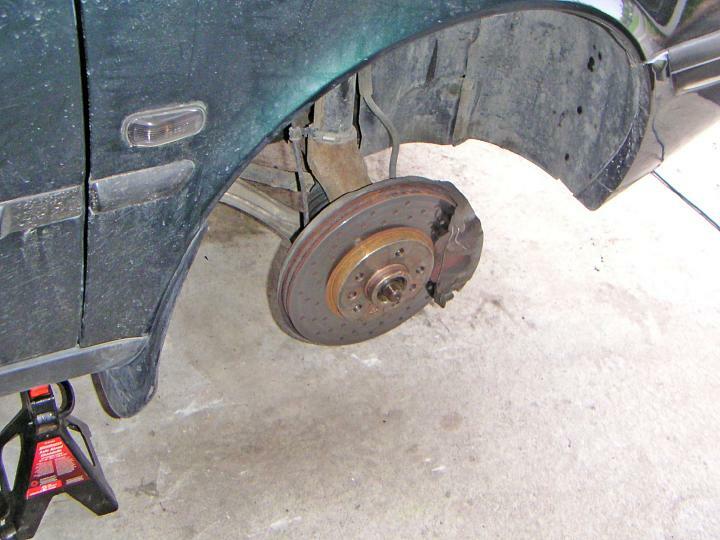 Remove the caliper and the brake rotor if they are in the way. 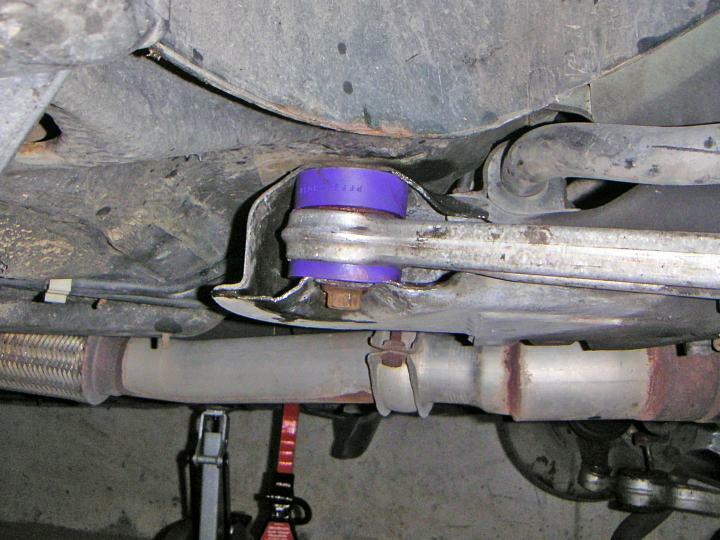 Disconnect the control arm from the subframe (15 mm socket). 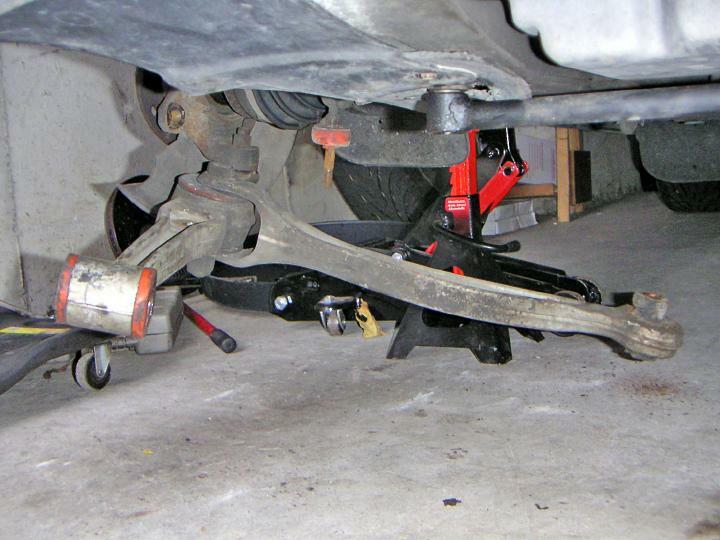 Unbolt the sway bar link from the control arm. 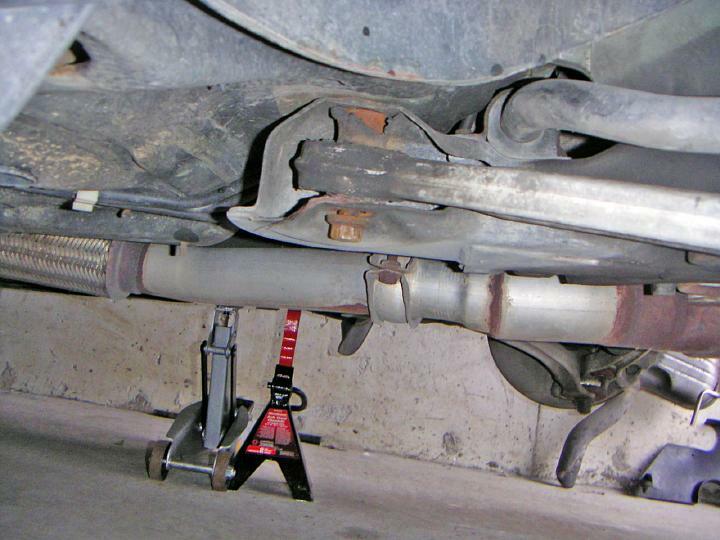 Unbolt the stanchion arm from the control arm and remove it from the car. 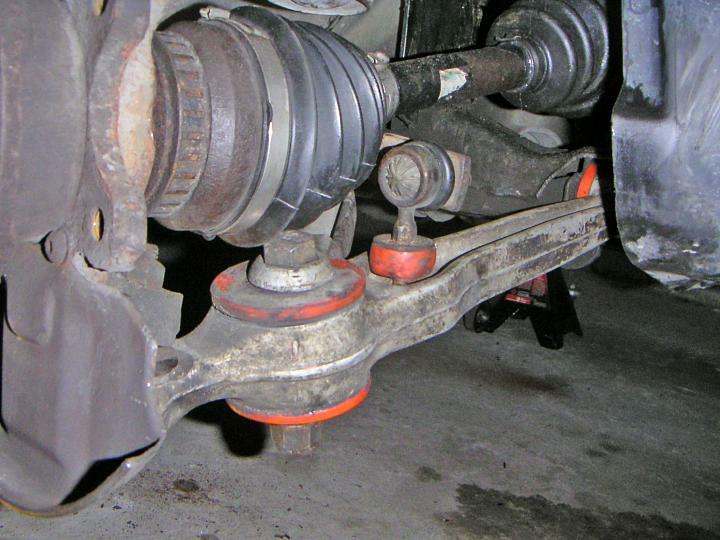 With 276K km on the clock, these bushings look completely destroyed. If you ever wondered what's inside, here's your answer. And there also was hydraulic oil... a long time ago. 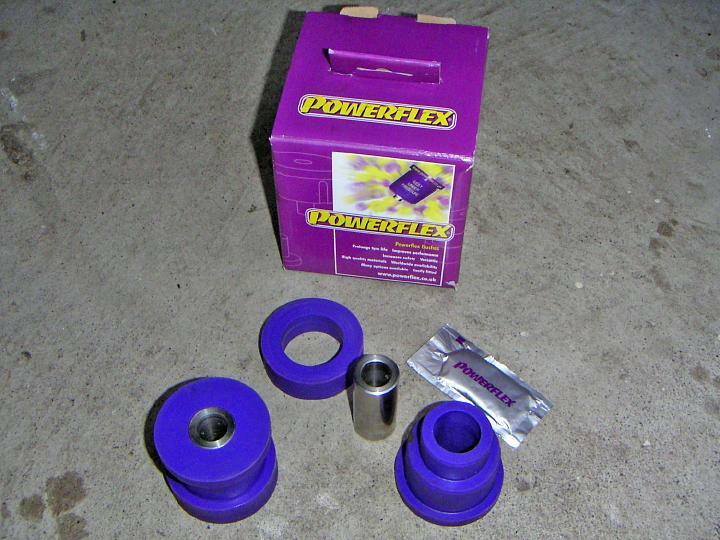 The remaining bushing sleeve can be removed with a help of a hacksaw and a cold chisel. 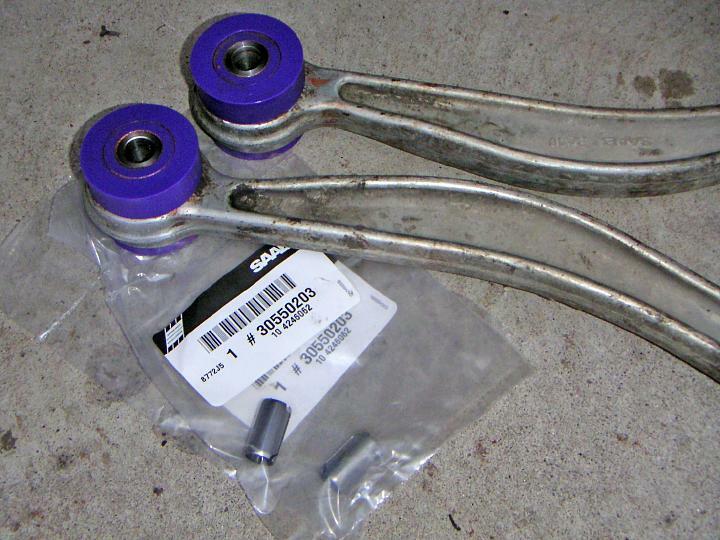 Lubricate the bushings with supplied grease and slide them into the arms. You will also need a pair of new springs sleeves for EACH arm. 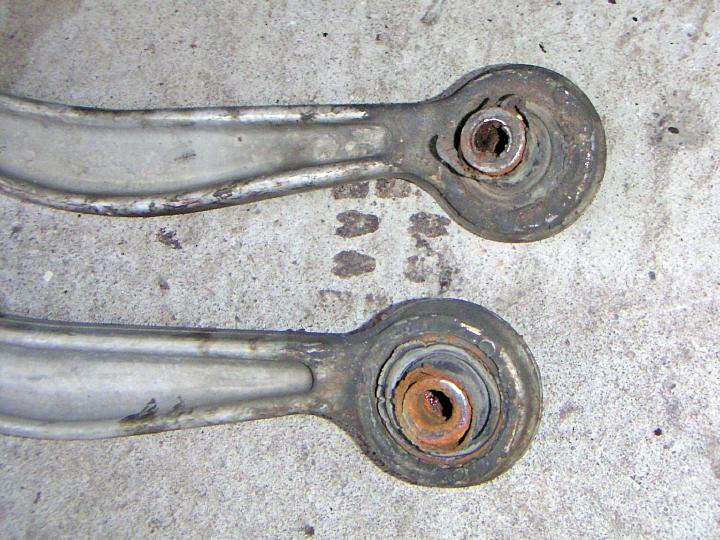 If your original bushings were dead as mine, chances are the spring sleeves are a heap of rust by now. 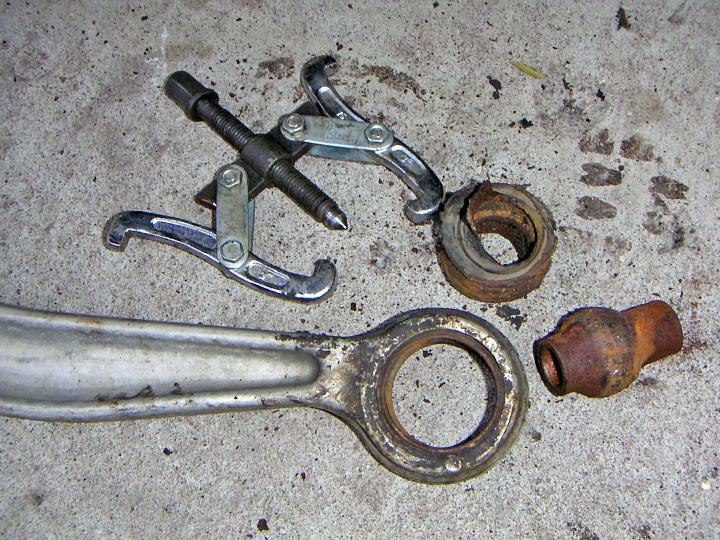 This is what happens when you run your car with worn stanchion arm bushings and rusted spring sleeves. The bolt looks like someone chewed on it. A new bolt is pictured below. You might need to slightly widen the opening in the subframe to fit the new bushings in, otherwise the installation is easy and straightforward. 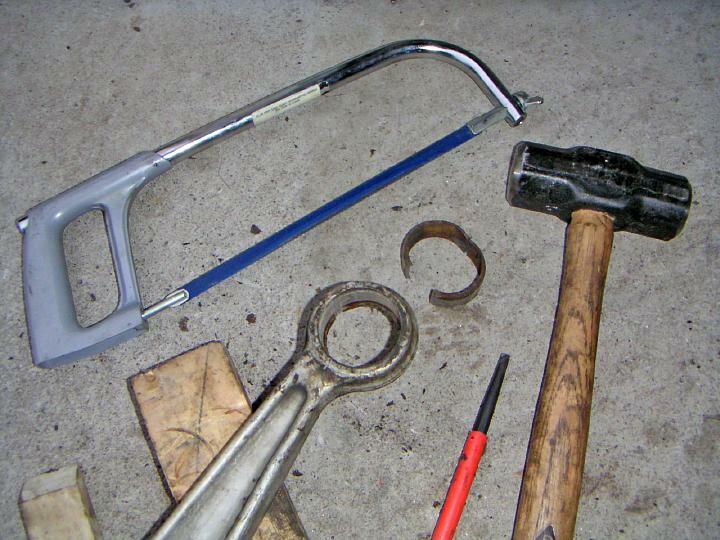 Refer to this guide for tightening torque values.